We are a team located in North Central Pa. We are dedicated to helping individuals & businesses that are experiencing paranormal activity. We conduct our investigations in a professional manner as quickly as possible. We do our best to explain what can be & document our findings in a concise report. Our investigations are done in a scientific manner & we use outside professional sources as needed. Our team members go through continuous training to keep up to date on new technology & science. We have developed a new membership for Jr. members that are in their teens to educate and develop professional in the paranormal. They learn proper equipment handling, research, evidence review & the dangers of the paranormal field. We are currently updating this site... keep stopping back to see what we have improved. 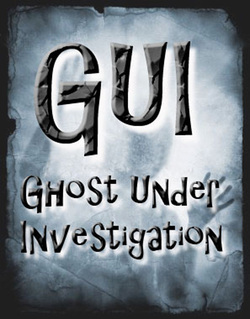 **All photos contained on this site are copyrighted to GUI (Ghost Under Investigation) & may not be reproduced without written consent from GUI (Ghost Under Investigation) founders.